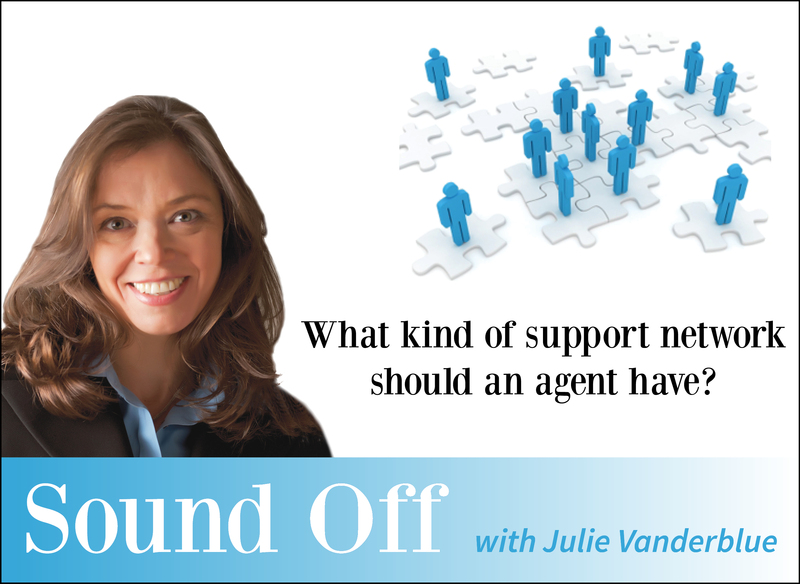 What kind of support network should an agent have? One of the most important components of the growth of my team has been in creating a strong and powerful support network of people, business and leaders. Helping and supporting others is the fastest and purest way to success, and, in my opinion, is a key differentiating factor for the Vanderblue Team. In an industry that has suffered from a reputation of a "what's in it for me" attitude, it is easy to stand out as we genuinely strive to support and develop not only our teammates and clients, but our peers and communities. Career development has always been a high priority, first for myself, and then for those who place their professional care partially in my hands. Be very careful when selecting a network, team, and/or company; keep in mind biggest is not always best. Synergy is imperative. We all have different skill sets and each has something special to offer. Confidence creates success and self-assurance grows when you feel valued and worthy. Working beside people who mentor and share their own value, while bringing out and appreciating the best you have to offer is what builds the strongest network. Create a network of mentors, educators and the most accomplished real estate professionals to accelerate the learning curve and constantly stay abreast of the most effective methods to better serve your clients. A national network for the promotion of referrals - for both buyers and sellers. A network of community leaders because networking with other community activists is a great way to give back. A network of professionals from other fields to teach and learn and benefit by sharing solutions to similarly shared challenges. A network of local merchants who share the same desire to see people move into the community and have an opportunity to be service providers to local residents. In the movie "The Graduate", the seminal word was "plastics." In real estate, it's "networking." Support and networking; together they create success.